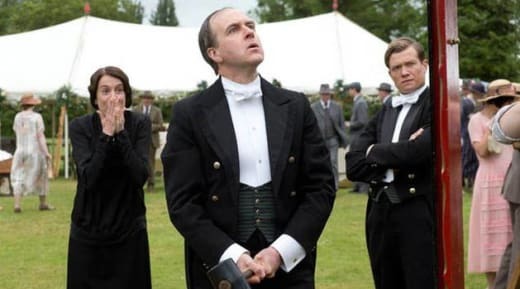 On Downton Abbey Season 4 Episode 7, Mary discovers the identity of Anna's attacker and gets involved in trying to put a stop to his continued visits to Downton, but fate -- or something else -- does the job for her. When Rose announces her engagement, Mary comes to a realization and cannot in good conscience keep it to herself. Molesley and Baxter start to form a friendship which might not be something that will make Thomas Barrow very happy. With the help of others, Edith comes to a decision about the future of her and her baby. Robert returns to Downton, extremely happy that England hasn't embraced prohibition. 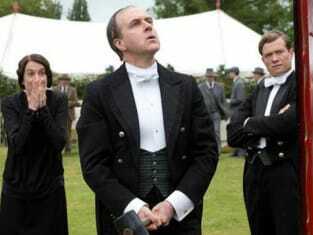 Find out how all of this comes about and what else occurs during this installment when you watch Downton Abbey online. You can do it right on TV Fanatic.